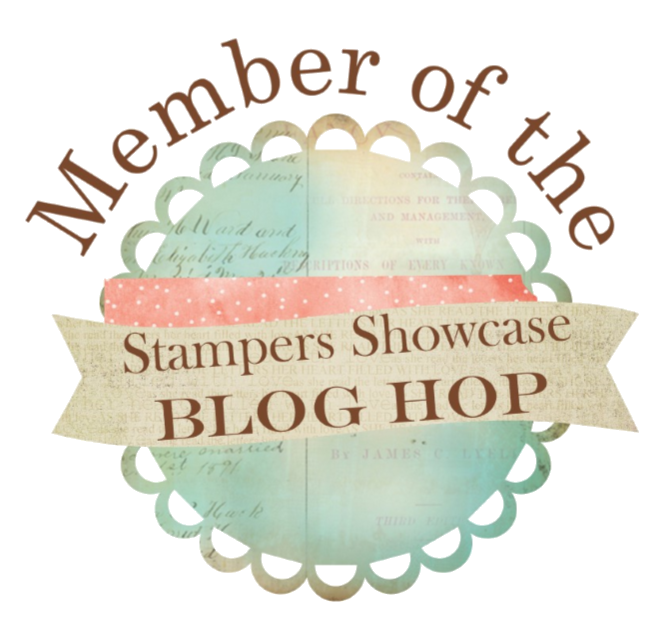 Inkstampshare: Hello Cupcake - Saleabration Sunday! Hello Cupcake - Saleabration Sunday! 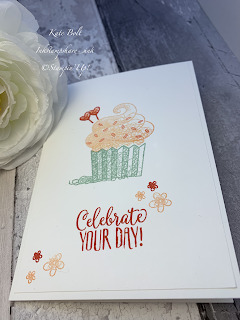 I got the Hello Cupcake stamp set with my order this week - I've just started playing with this one and it's already a favourite! It's not just for birthdays either, I can see me using it for celebrations and Valentines too. 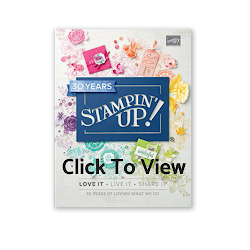 You can take your pick of loads of free Saleabration items with every £45 spend. 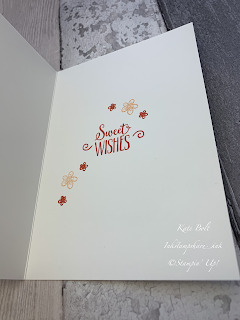 This is a simple, easy, one layer card using just stamps ink and paper. 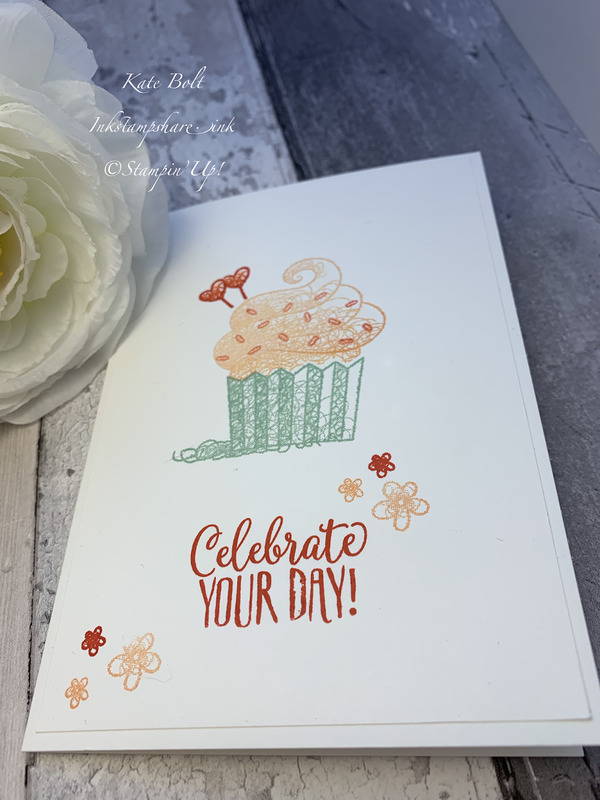 #simplestamping .Perfect for the beginner crafter who might not have built up a lot of supplies yet, right through to the experienced crafter who wants a fun birthday card. 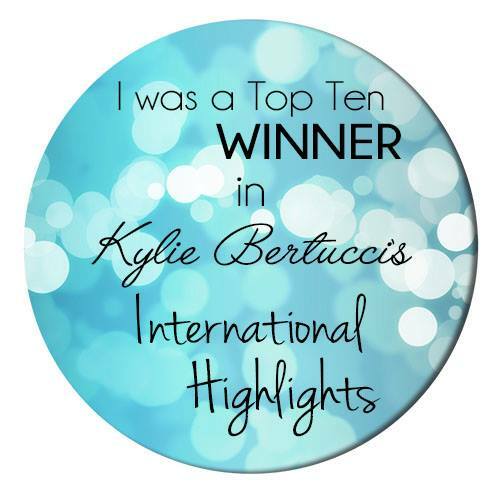 Here is my You Tube video, showing you how I made this one and a more masculine version too! Card Base-Thick Whisper White A4 scored at 10.5 cm and cut in half at 14.9 cm. Card layer- Whisper White 10 cm x 14. 3 cm.